Diablo Valley College's drama department, DVC Drama, is a theatrical training program dedicated to creating avenues for the aspiring young theatre artists. Our program prepares students for excellence in every aspect of theater with a myriad of creative design and performance opportunities. Students work with professionally trained and highly skilled faculty and staff. DVC Drama students have gone on to attend prestigious drama college programs such as Yale School of Drama, NYU Tisch School of the Arts, Marymount University, University of Irvine, UCLA, USC, as well as acting conservatories such as Pacific Conservatory Theatre (PCPA). Our students have a solid history of becoming working professionals, booking jobs in national tours, regional theatres, theme parks, and the television and film industry. The DVC Drama Program offers Technical Theater students opportunities to gain both theoretical knowledge and practical experience in all areas of the theater, from an overview of the multiple disciplines of theater and the collaborations within, to the various functions that make theater productions work. DVC Drama is dedicated to creating avenues for aspiring theater professionals to explore and hone their skills and talents, while sharing their passion for live theater through programs that entertain, engage, and inspire our community. We produce a four show season, including at least one musical theater production, utilizing both the Performing Arts Center Main Stage and the intimate Arena Theater. 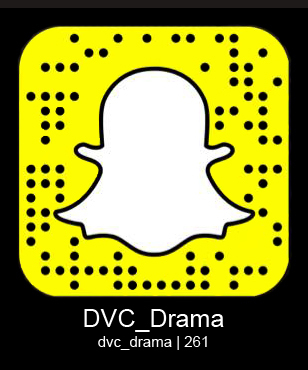 Love DVC Drama? Please check out all the ways you can help, including donations and other forms of support, program ad sales and internships.